I was curious about the location of the Lincoln District after hours club that was the scene of a homicide on 9/7/14, so I drove by in the morning hours to figure out where it is. 32-year-old Michael Ward Jr. was murdered that night and as of yet there is no suspect being held. I thought it was interesting that there is no signage, maybe that’s because it is an after hours club (what does that even mean?). The laundromat, which does have signage, has also been shut down. It is Tacoma’s 10th homicide this year. 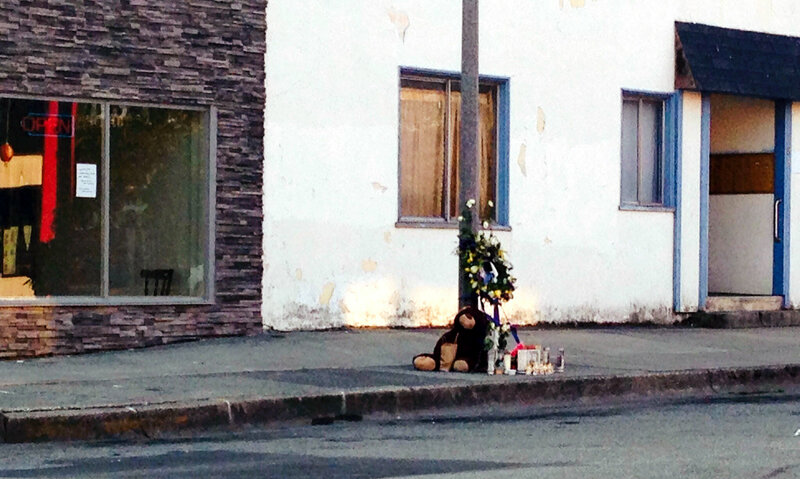 There is a make shift memorial in front of the building. This entry was posted in Over 21, Restaurants, Tacoma, WA State - Pierce County and tagged after hours club, club, homicide, laundromat, Lincoln District, murder, Tacoma on September 17, 2014 by admin.